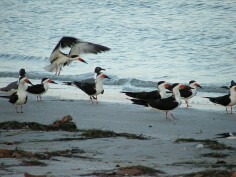 A close of up a few black skimmers, roosting and in flight. 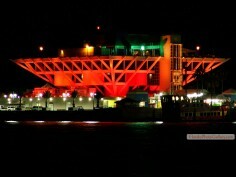 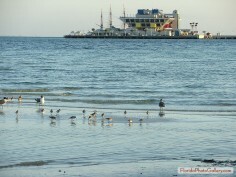 St Petersburg's pier changes color at night. 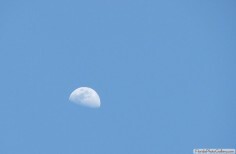 A close up of a shy moon a nestled in a clear blue sky. 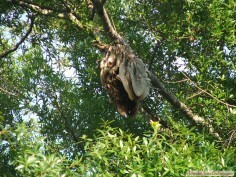 An exposed bee hive in a tree. 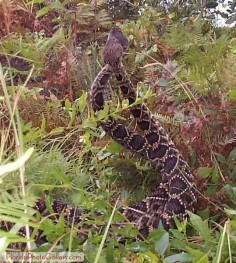 Two Eastern Diamondback Rattlesnakes fight. 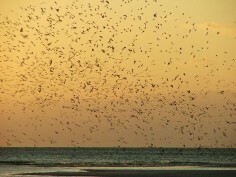 Black Skimmers flying about at sunset.